We are a family run dental office who takes pride in both providing the highest quality dentistry and enjoying personalized relationships with our patients. We have just recently put together this website so that both our current patients and those interested in visiting our office can acquaint themselves with our office, gather some ideas, and hopefully find answers to some of the more common questions that you may have related to dentistry. If at any time you have any questions, please don't hesitate to call our office... Cookie, Diana, or Maria will be more than happy to help you in any way. Feel free to browse through our website and be sure to give us a call if you have any questions or would like to schedule an appointment. 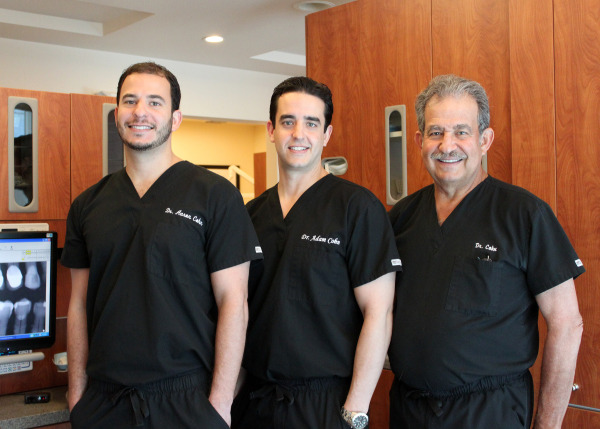 Miami Dentists, Dr. Jack Cohn, Dr. Adam Cohn, and Dr. Aaron Cohn at Smile Miami are dedicated to family dentistry such as Exams, Teeth Whitening, Veneers and more. We are looking forward to your visit to our Miami, Florida dental office.